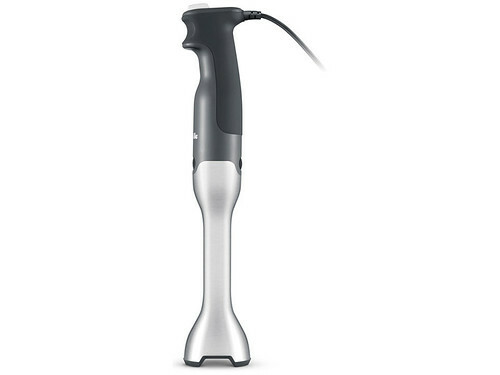 The Breville Control Grip BSB510XL – Incorporating an ergonomic trigger grip that is easily engaged with a very natural hand position. Control is further enhanced with a reduced suction blade and leg design. 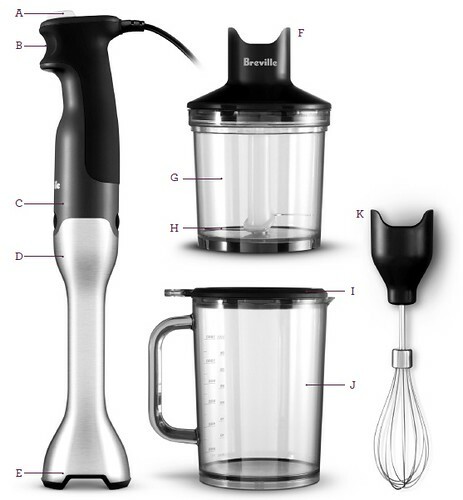 This model also incorporates a stainless steel shaft, 25oz chopper, 42oz jug, and a whisk attachment. A. Speed Control Dial. B. Control Drip Trigger Switch. C. Motor Body. D. Blending Shaft. E. Stainless Steel Blending Blade. F. Chopping Bowl Lid. G.Chopping Bowl. H. Stainless Steel Chopping Blade. I. Dual-Purpose Storage Lid & Anti-Slip Mat. J. Blending Jug.